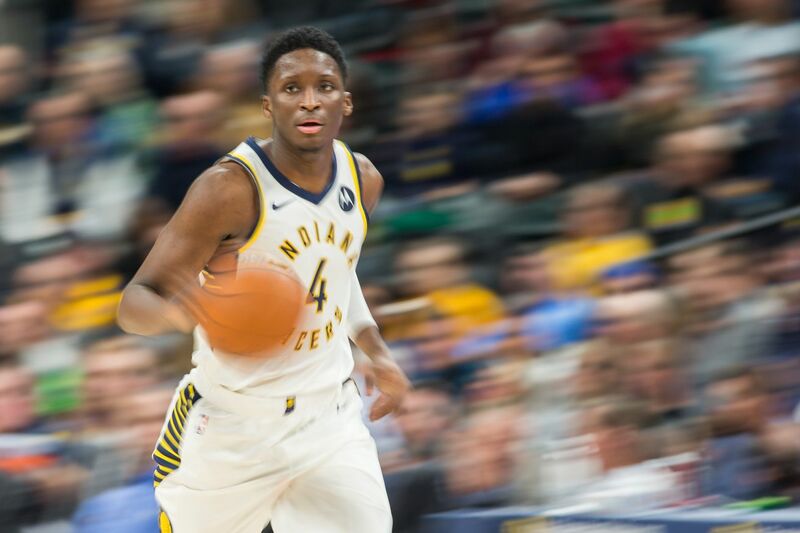 The Indiana Pacers hope to continue their success against the Philadelphia 76ers this Thursday night as small betting favorites at the sportsbooks. The Indiana Pacers are 15-4 straight up in their last 19 games against the Philadelphia 76ers and 5-2 against the spread in their last seven against Philadelphia. The Pacers will try to keep things rolling with another win over the 76ers this Thursday night at home. Indiana is a 3-point home favorite on the NBA odds in Indianapolis at sportsbooks monitored by OddsShark.com. In their last nine home games against the 76ers, the Pacers are 8-1 SU. The Pacers have been on a roll over their last 20 games with a 16-4 SU and 12-8 ATS record over that stretch. In a superstar-driven league, Indiana is enjoying success with balanced scoring across the board and excellent defense. Victor Oladipo leads the team in scoring with just 19.5 points per game and is one of five players averaging 12.5 points per game or more. Indiana’s 103 points per game allowed on defense is the second lowest in the NBA and best in the Eastern Conference. In 20 home games this season, the Pacers are 15-5 SU and 11-9 ATS per the OddsShark NBA Database. Philadelphia improved to 9-4 SU and 7-6 ATS over its last 13 games with an impressive 149-107 blowout win over the Minnesota Timberwolves on Tuesday. Unlike the Pacers who have recorded 29 wins due to an elite defense and a sub-par offense, the 76ers rank fourth in the NBA in scoring with 115.4 points per game while coming in at No. 22 on defense allowing 112.4 points per game. Joel Embiid is putting up big numbers in his third season in the league averaging 27 points and 13.3 rebounds per game. The 76ers are 1-3 SU and ATS in their last four games as a betting underdog. Thursday night’s total is set at 224.5 points at online sports betting sites. The OVER is 9-0 in Indiana’s last nine games. Clash of styles games are always interesting to watch play out, and that is what basketball fans will have on their hands Thursday night as the superstar laden and offensively gifted 76ers take on the system driven and defensively gifted Pacers. The team that can control the tempo of this game will likely find the win in this one.